Did Buzz Aldrin secretly take Holy Communion on the moon? Did Buzz Aldrin secretly take Holy Communion on the moon? This was a question answered in a reader’s letter to the Daily Mail on May 3rd, 2018 by William Jacks. 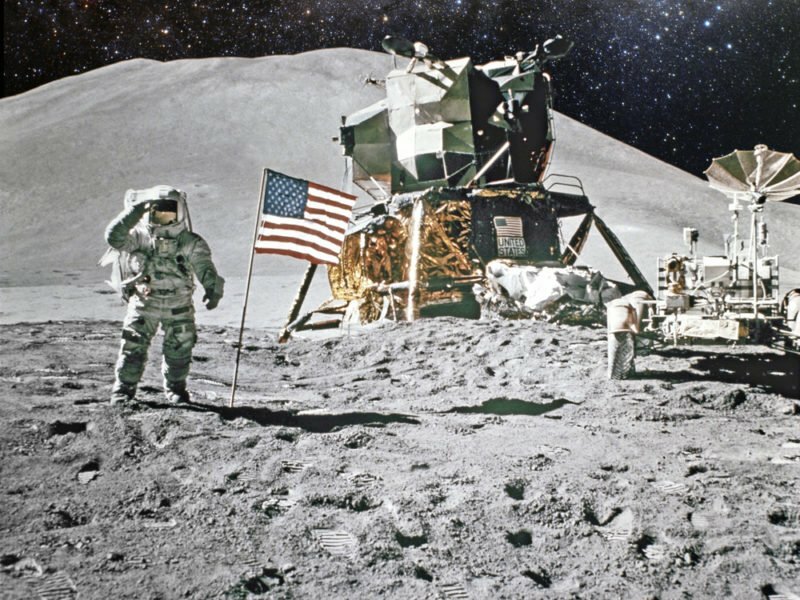 In an article entitled ‘Buzz’s Giant Leap For God’, he wrote, “Yes: Buzz Aldrin took Holy Communion on the lunar module after it had landed on the moon in 1969”. Today nearly five decades later, Madalyn Murray O’Hair is remembered as one of the ‘most hated women in America’ following the case of Murray v Curlett, which led to the ending of compulsory Bible reading in US public schools in 1963. Time moves on and Murray O’Hair, her son Jon, and granddaughter Robin disappeared in Austin, Texas in 1995. A year later, with no sign of the family The New York Times speculated they had gone on the run with money misappropriated from American Atheists. However in 2001 the family’s murdered bodies were found on a ranch in Texas. An awful tragedy, and an indicator of the dangers we face when we have no God to protect us. As I considered this period of history and the irony that the atheist lady thought she could hinder the Word of God, it made me realise that God’s Word will not return void. Isaiah 55:11 tells us, “So is my word that goes out from my mouth: It will not return to me empty, but will accomplish what I desire and achieve the purpose for which I sent it.” Today in 2018 Buzz Aldrin’s story is again remembered in a tabloid national newspaper, with a large print following and online readership of millions. This article was written by Don Botham who is a TV Producer and writer based in Newcastle-Upon-Tyne in the North East of England. For many years Don faithfully produced GOD TV’s In Depth Series capturing the life stories of diverse men and women of God.